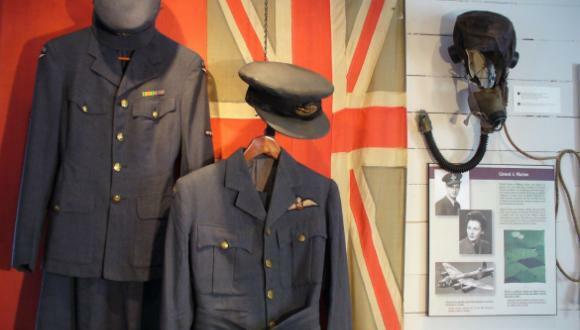 The permanent exhibition at the Kempffer Cultural and Interpretation Centre deals with an important aspect of the history of New Carlisle: that of its military past and its veterans. 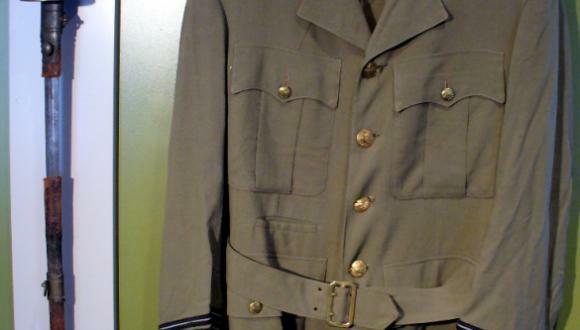 Because of several artefacts that had belonged to veterans from New Carlisle during the First and Second World Wars, the Kempffer Cultural and Interpretation Centre is able to render homage to the courage of the veterans from here. Our exhibition tells a story that is stamped on the collective memory of the town, the story of the German spy, Werner Alfred Waldemar von Janowski, who disembarked in New Carlisle in the middle of the Second World War. Because we do not have many artefacts, it is principally through archival documents and oral testimonies from the participants of the event, which make possible the description of this part of the exhibition. The peaceful village of New Carlisle had never been so close to a world conflict as it was on that morning of November in the year 1942. Werner Alfred Waldemar von Janowski, a lieutenant from the German fleet, whose code name was “Bobbi”, disembarked from the war vessel U-518 on a beach four miles west of New Carlisle, around five o’clock in the morning, on November the 9, 1942. Having access to the Canadian shore by way of Chaleur Bay, the German spy had to go to New Carlisle to freshen up and wait to take the first train to Montreal. At 6:30 a.m., Janowski presented himself at Hotel New Carlisle under the name of William Brenton, then he requested a room with a bath. According to the testimony of Earle Annett Jr., the son of the hotel owner, the stranger seemed preoccupied. Annett detected inconsistencies in the stranger’s discourse. The man, who was about 30 years of age, stated that he had taken the bus that same morning before he arrived at the hotel on foot; except that the bus had not passed New Carlisle that morning. 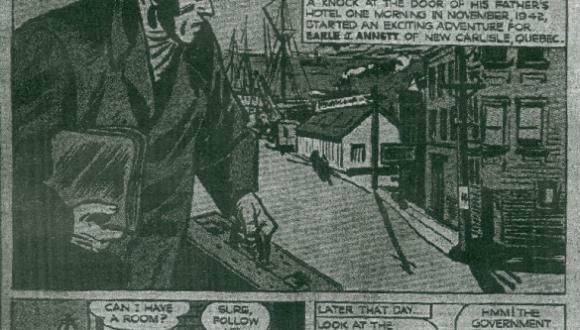 Furthermore, had that been the case, he would not have walked to the hotel, but he would have been driven by taxi. Annett quickly saw that the stranger was lying. 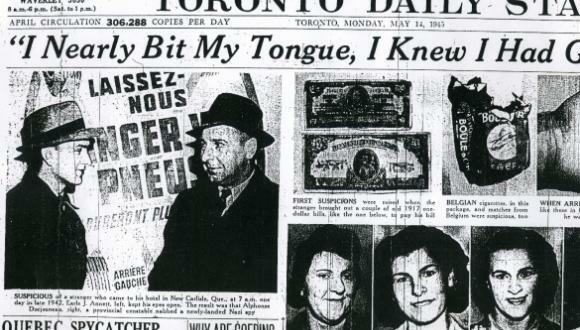 According to Annett, the stranger spoke English with a Parisian accent, his clothing exhibited a European cut, and when he paid for his cigarettes, he held out an old Canadian dollar bill that had not been in circulation for years. The young Annett also noticed an unusual odour emanating from Janowski’s clothing. Furthermore, he left a box of Belgian matches lying about, which did not carry the Canadian government stamp affixed to all matchboxes during this era. 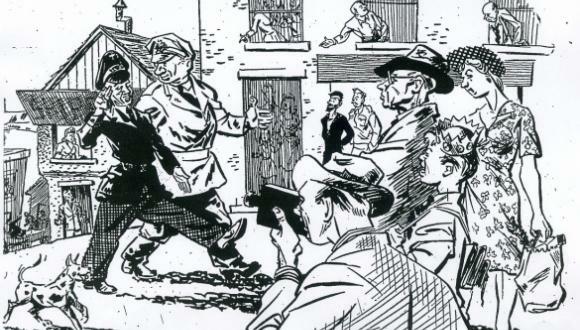 Less than three hours after his arrival, and even before the young Annett could confirm his suspicions, the stranger paid his bill, picked up his luggage and set out to sit at the train station. There he had a coffee while waiting for the next train. Annett followed him, went to sit with him and offered him a cigarette, without offering him the match to light it. He observed the stranger using the same type of Belgian matches that he had left at the hotel. At first, Janowski was imprisoned in New Carlisle, but was later transferred to Montreal, where he was interrogated regarding his activities and where he collaborated in the arrest of several other German spies in Canada. Notably, he confessed to having had the intention of going to Montreal in order to contact, among others, Adrien Arcand, National Social Christian Party Chief. 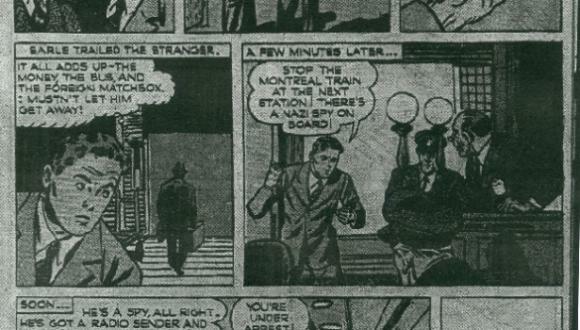 Finally, he was sent to England where he assisted the British Secret Service until the end of the war.